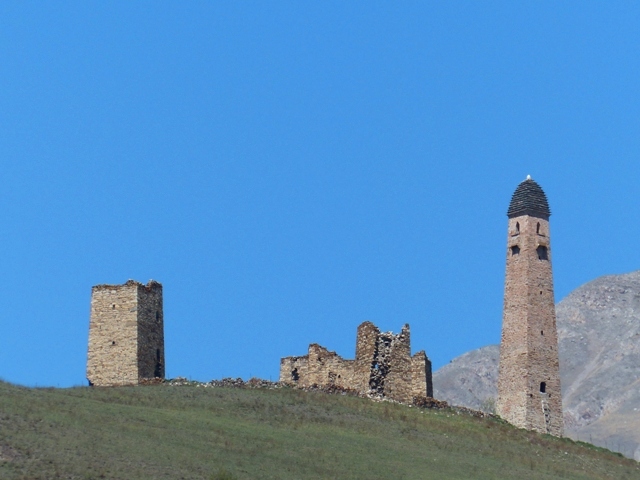 Ingushetia is the smallest of the Russian Caucasian republics. 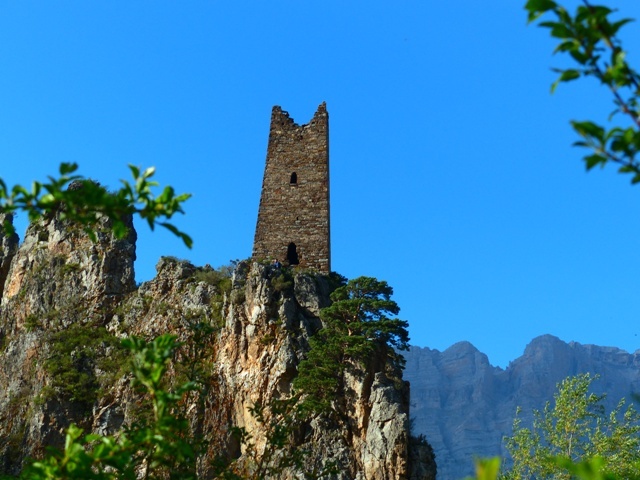 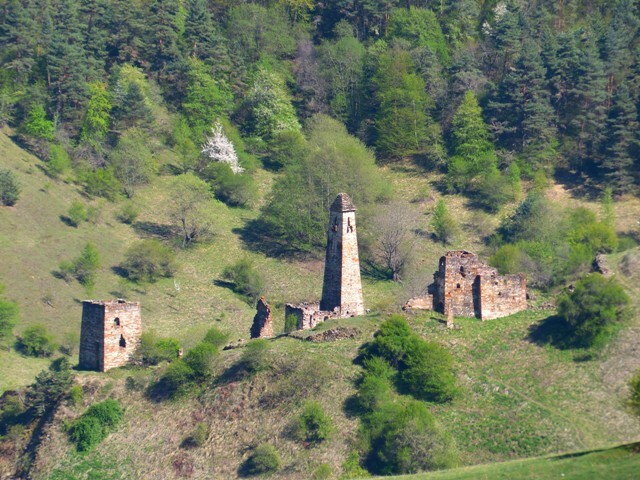 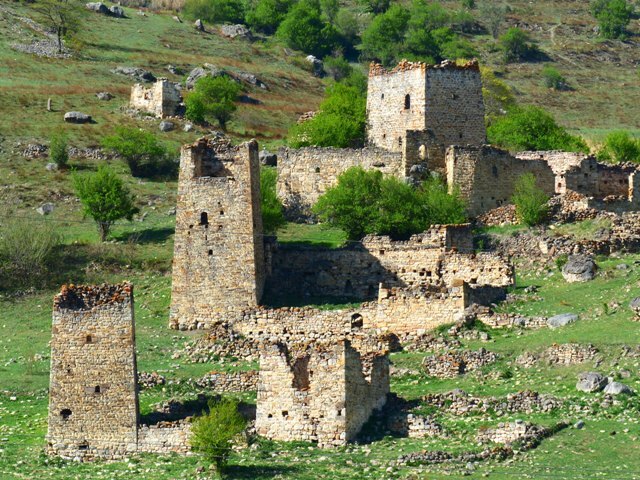 It is famous for its clan or combat towers concentrated in the south part of the republic along the border with Georgia. 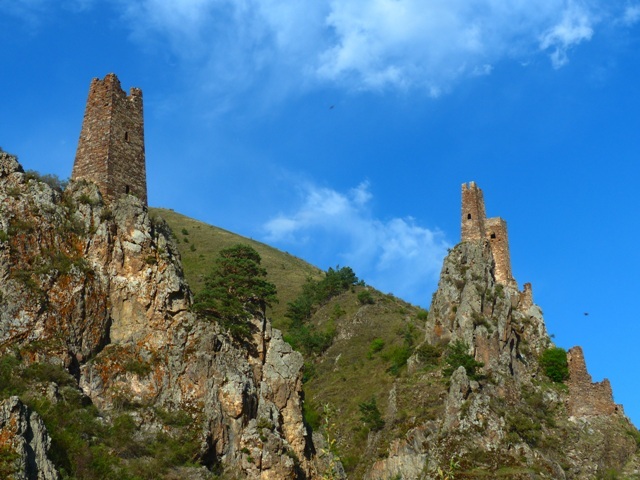 Unfortunately, all towers are within a border zone. 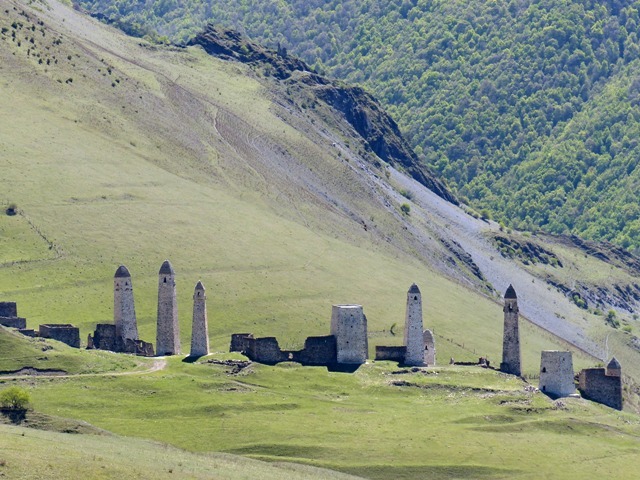 A KGB permit is required for foreigners to enter the zone. 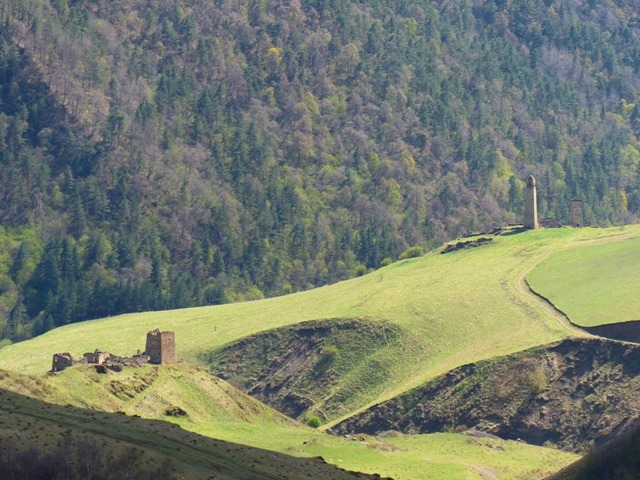 To reach these sights follow A-161 road from Vladikavkaz to the Georgian border and turn in the direction of Jeyrakh (Джейрах). 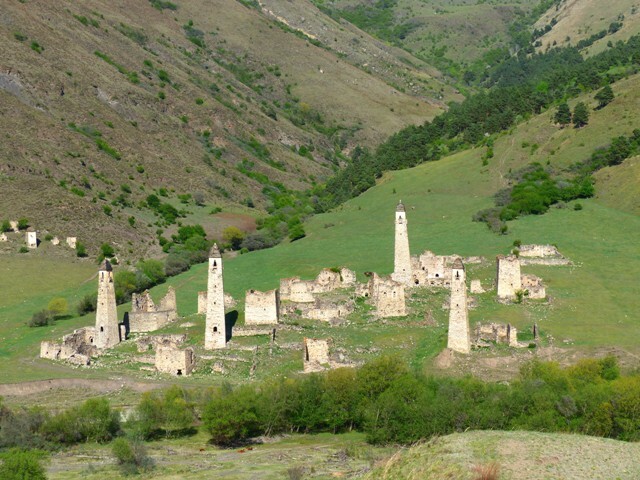 Continue driving by this winding road to visit all villages housing clusters of combat and living towers: Lyazhgie (Ляжги), Erzie (Эрзи), Egikal (Эгикал), Targim (Таргим), Vovnushky (Вовнушки). 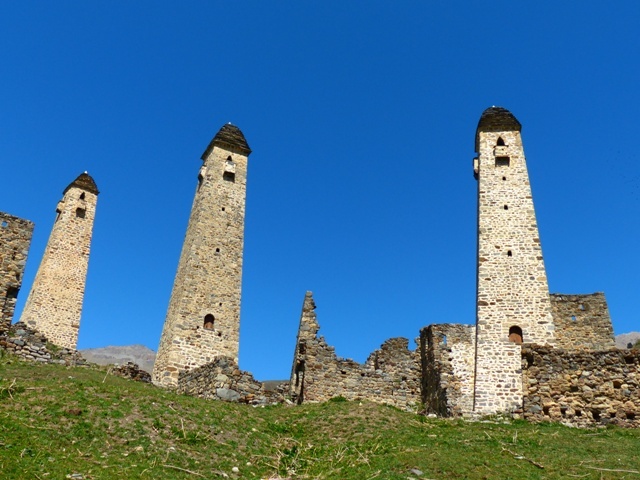 The towers date back to 13th-18th centuries AD. 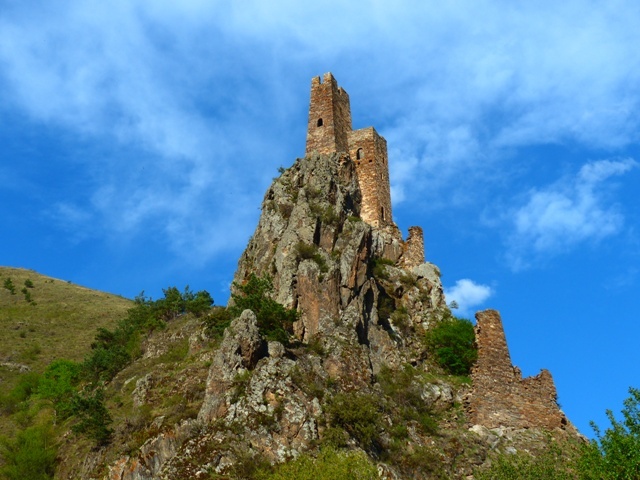 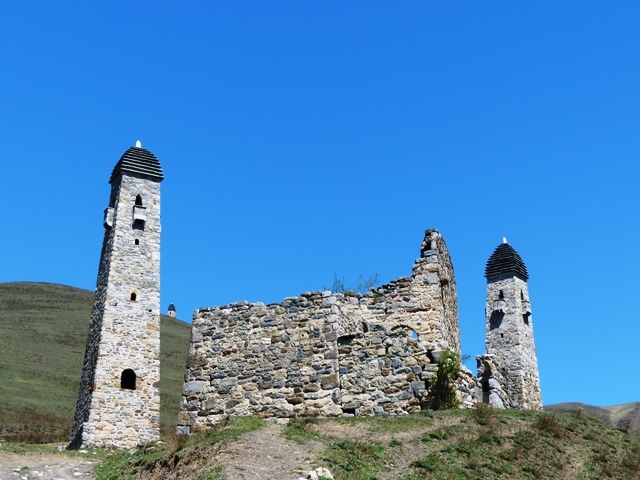 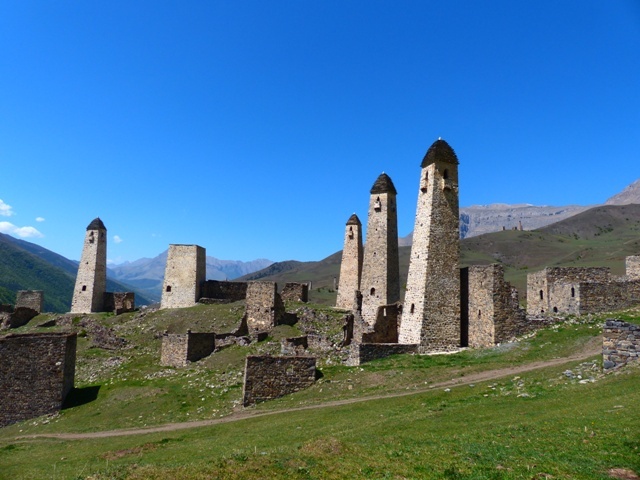 Ingushetia is also home of the oldest Christian temple in Russia built in the 9th century AD. 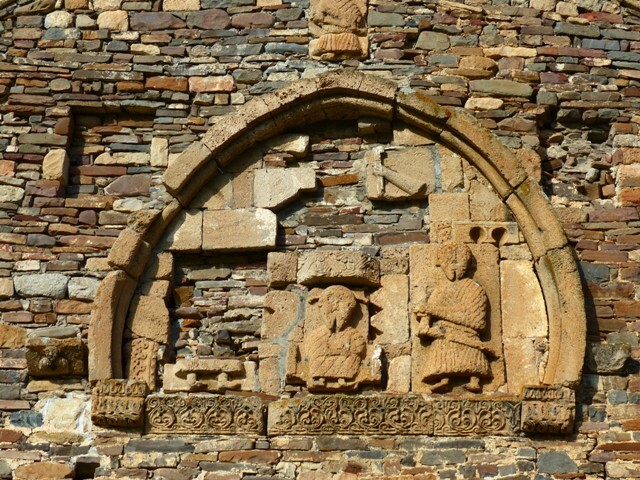 The Thaba-Erdy temple is also located in the Jeyrakh district. 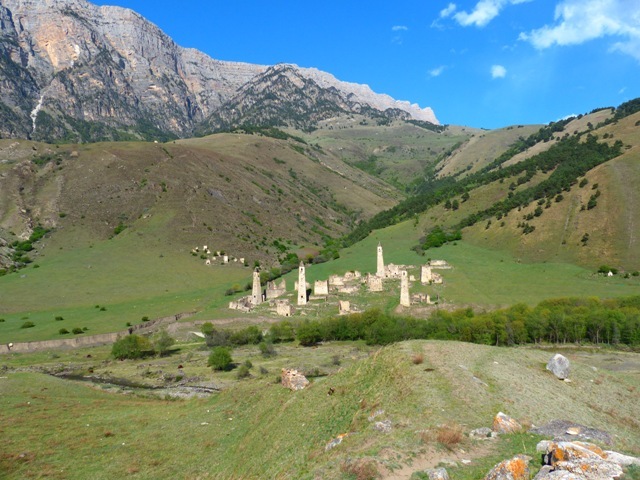 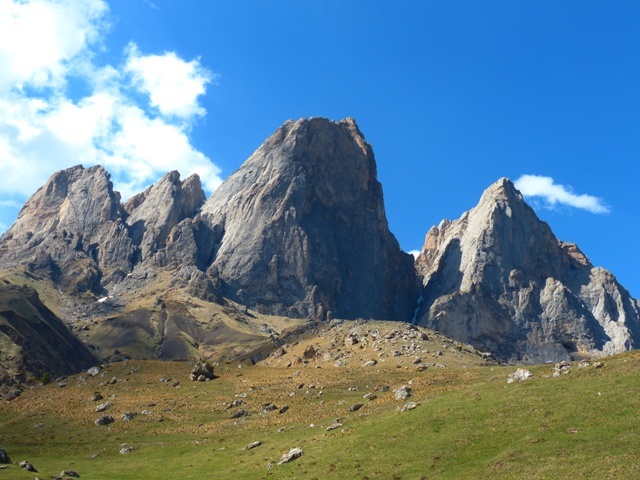 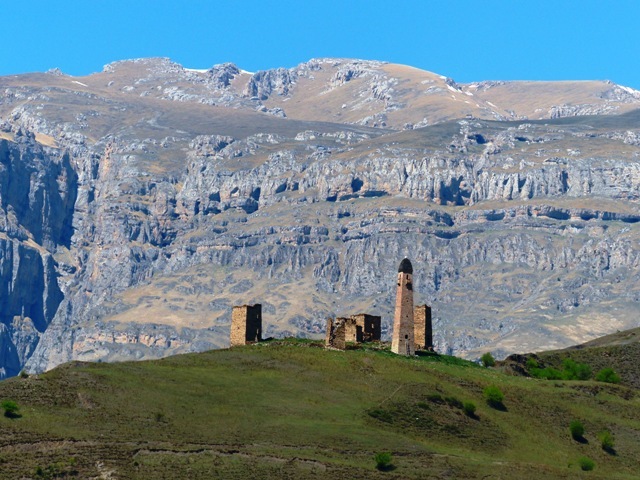 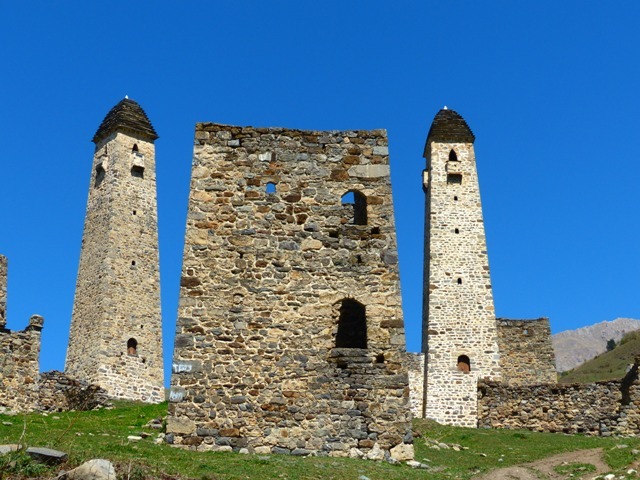 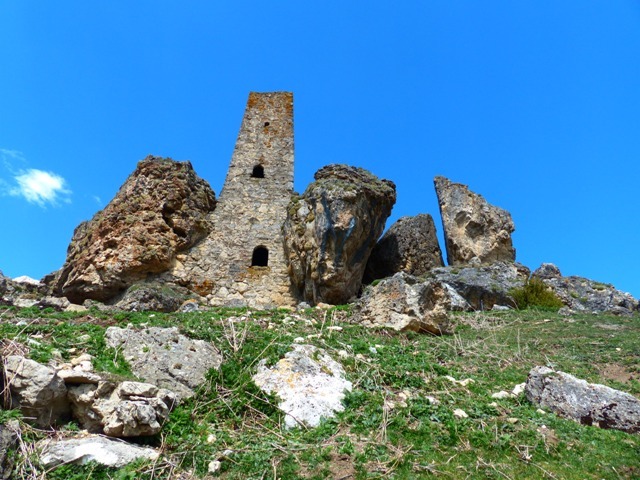 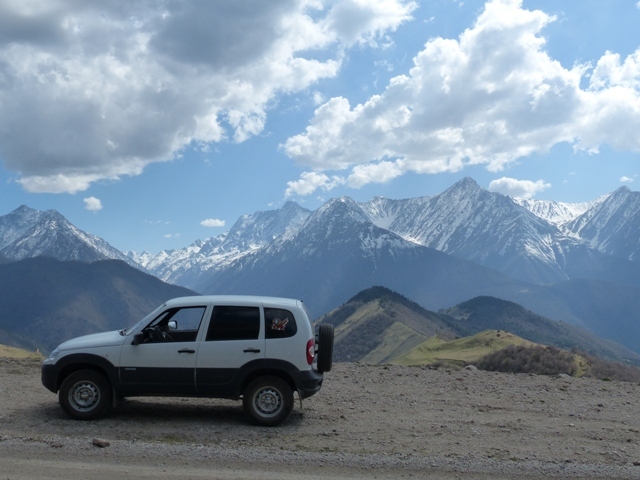 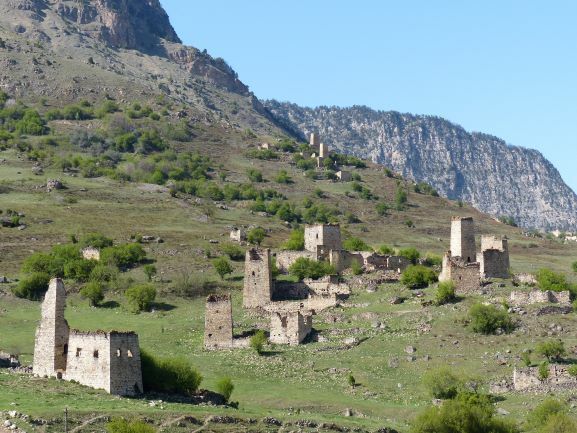 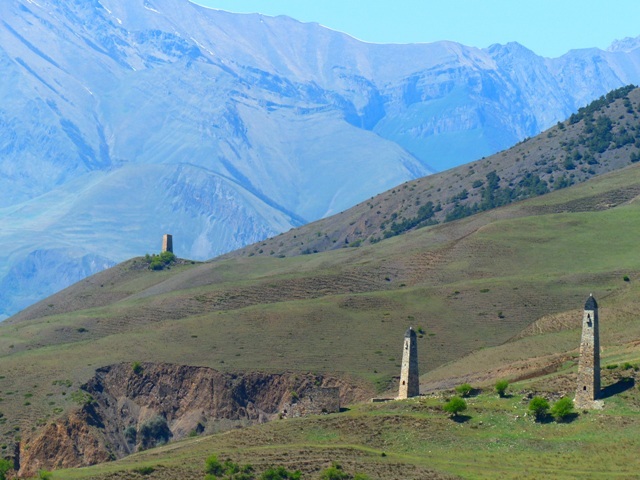 After visiting the towers of Egikal and Targim continue driving and turn towards the Georgian border in the direction of villages Khairakh (Хайрах) and Pui (Пуй). 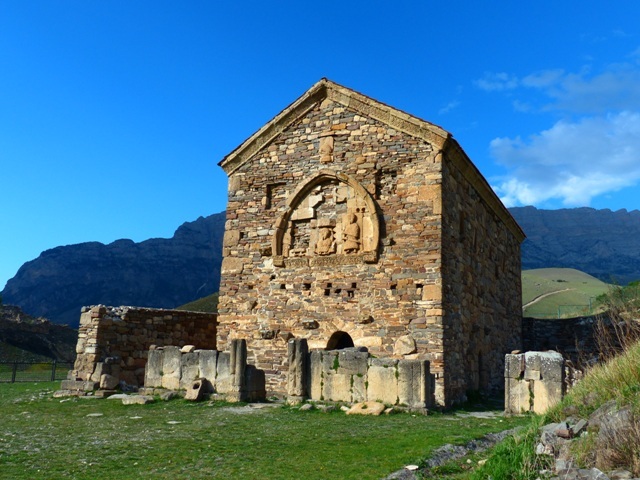 Thaba-Erdy – the oldest Christian temple in Russia. 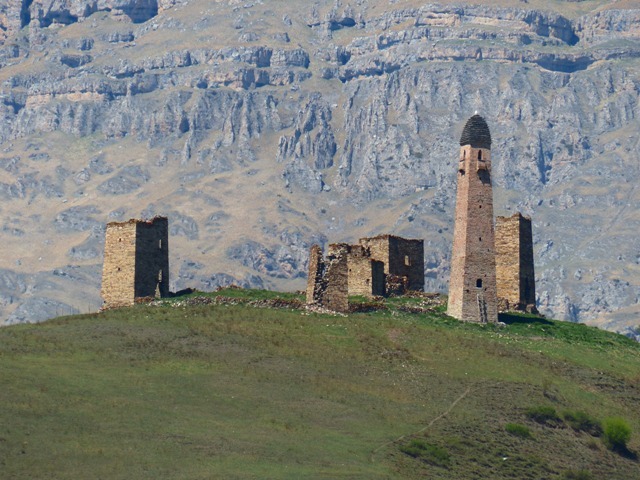 The smallest but arguably the most peculiar Vovnuski towers are located several kilometers south of Thaba-Erdy temple closer to the border. 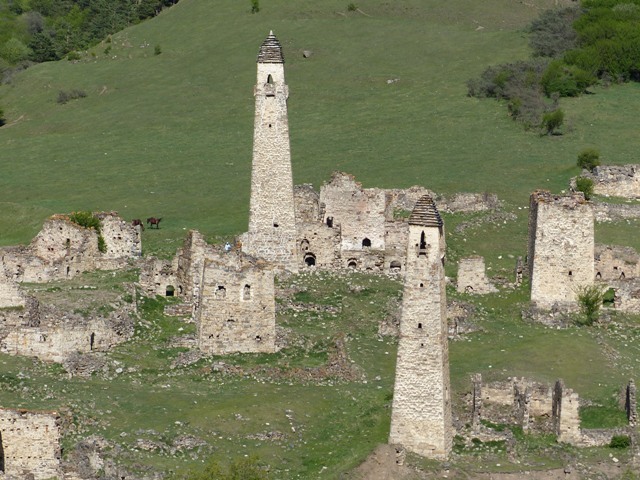 Besides well-known and clearly marked clusters of towers there are nameless ones which can be spotted along the way and approached by dirt roads. 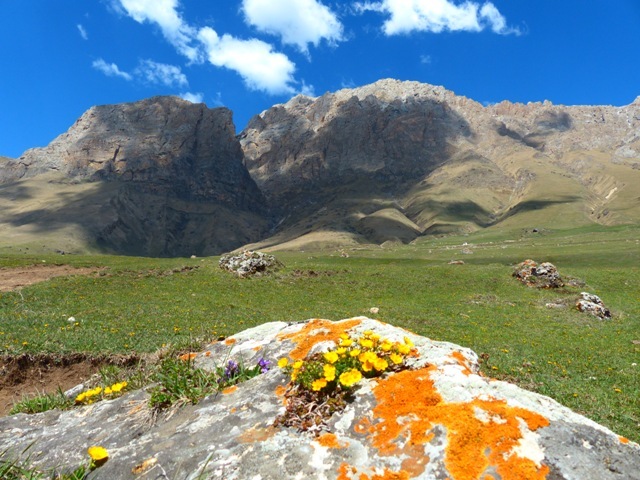 Surrounding moutains lend charm to the view.